It's the end of an era for the Gervais family. 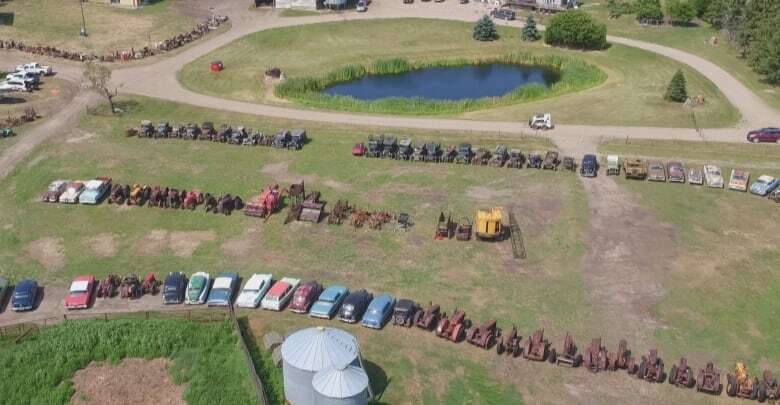 This weekend, all of the vintage vehicles owned by the Gervais family will be auctioned off at their farm near Alida, Sask. It's the end of an era for the Gervais family. 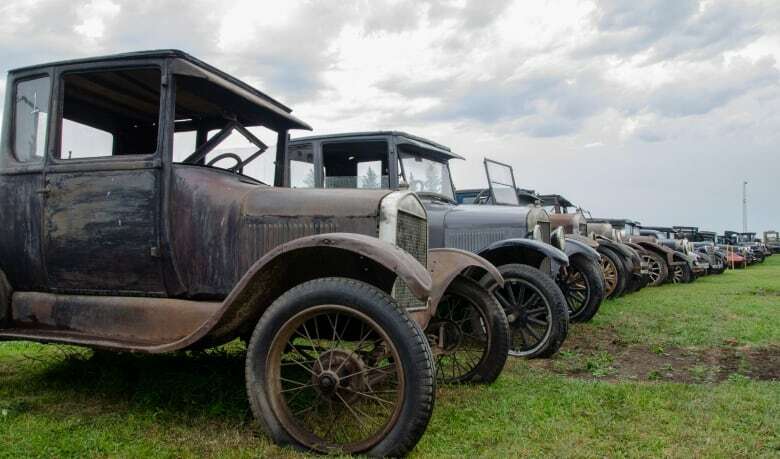 Several dozen antique vehicles are neatly lined up on the family's expansive farmyard, about 10 kilometres north of Alida, Sask., and around 230 kilometres southeast of Regina. Come Sunday evening, the relics should be claimed and the fields will be close to empty, save for what isn't snatched up by shoppers on site. 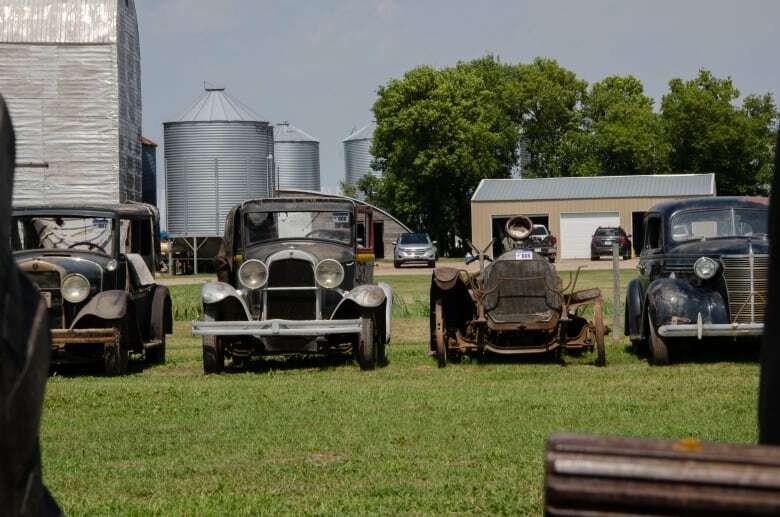 Alexandre Gervais began collecting antique vehicles before his 51-year-old son, Louis Gervais, was born. 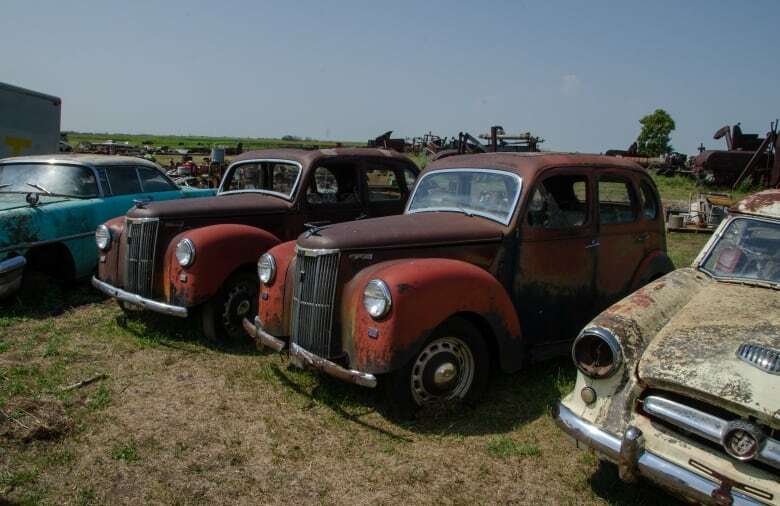 Alexandre died in 2013 at the age of 93, leaving barns full of old cars in his wake. It was up to Louis to settle his dad's estate, as both of his brothers had died. "I'm the only one left. I'm the one holding the bag," ​Louis Gervais said. The pieces in the collection are now destined to go to the highest bidders. 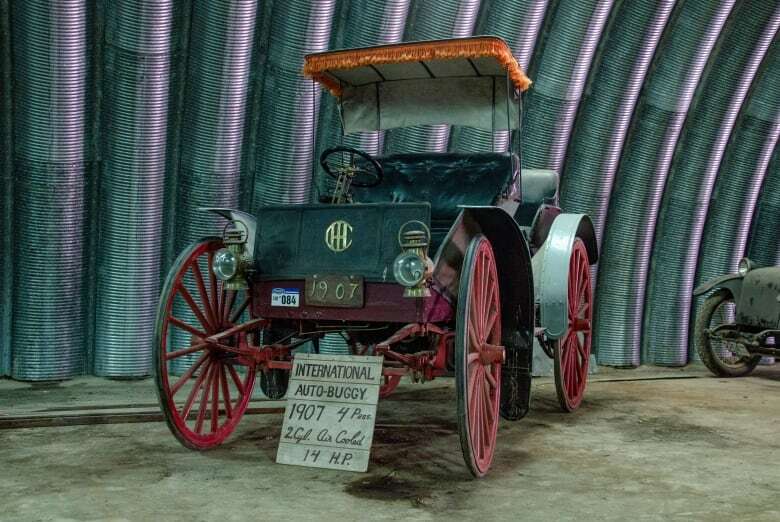 Mack Auction Company has spent a year preparing for the auction. Nearly 100 vehicles are up for grabs. 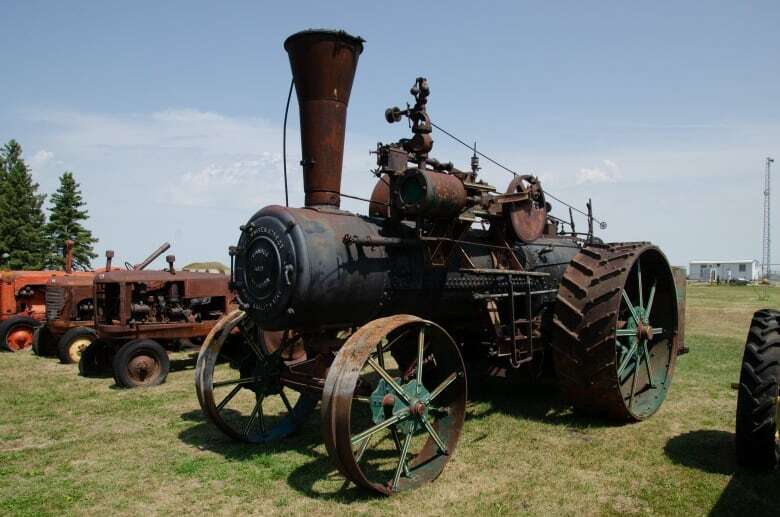 There are also antique tools, tires, cast-iron seats, licence plates and stationary engines, to name a few other trinkets, ready to go. Gervais said his dad had a few favourites, but he was particularly fond of the six-cylinder 1927 Star, made by Durant Motors. The car helped his dad clinch a third-place win at an antique car rally at Expo 67 in Montreal, but it also starred in many parades. It's special in the collection, Gervais said, "because [of] the memories of it. We went to more parades than you'd think," he said. Keeping it running wasn't always easy though, he said, because it has a vacuum pump rather than a fuel pump. "If it was on a hot day it would stop and then we had to get it going again. 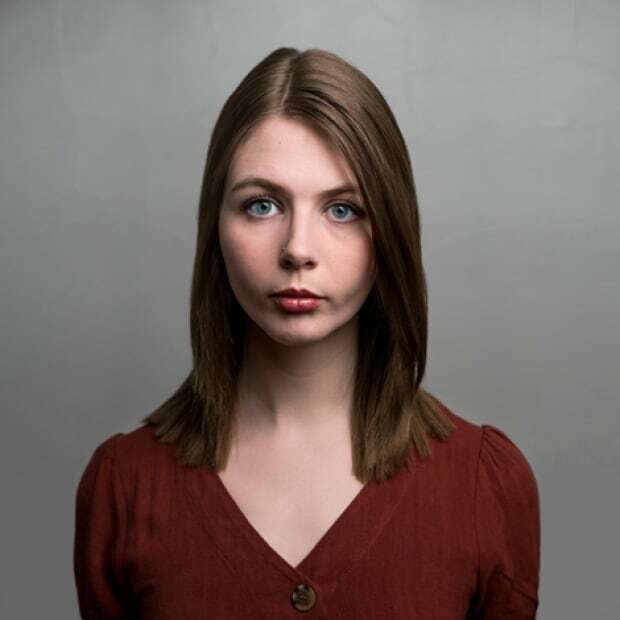 We had people come out of the crowd and push the car." His personal favourite is the little red two-door 1960s Honda convertible. "That's the car I picked up my wife in, and she's still with me. Maybe I should keep it," he said with a laugh. The preparation for the auction has been demanding — and heavy on the heart. "It was pretty hard," Gervais said, adding there were certain cars he couldn't talk about because it became too emotional. "And then I had a cousin who came and said, 'It's just stuff, you've got it all up here.… You can always tell your kids you had this.'" But still, the sale will be a final goodbye to so much of what his dad treasured and memories spanning decades. Gervais said he has been helped by his wife, Lucille, and extended family in the process. He wiped away tears as he expressed gratitude for the people who have helped him through this process. "I hope everybody leaves happy. No accidents and no mistakes. 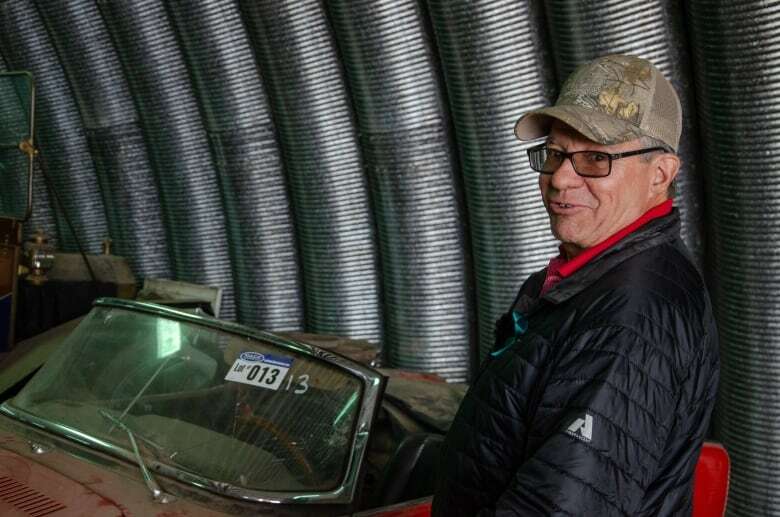 That the people who pick up these cars enjoy them as much as my dad did, and me," he said. 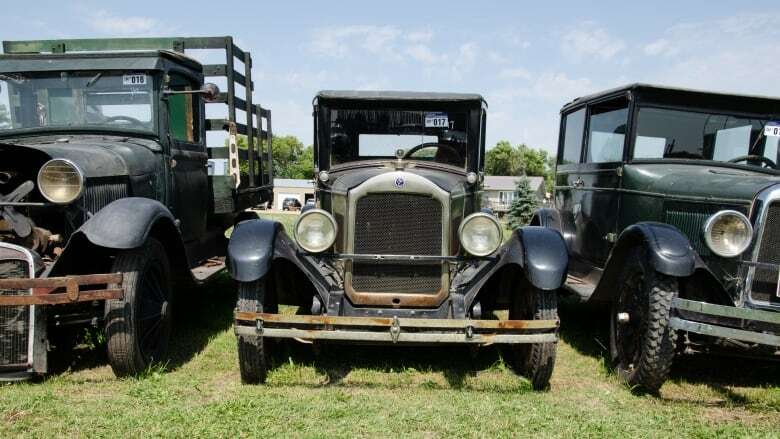 The auction began Saturday morning at 10 a.m. CST and runs through Sunday.